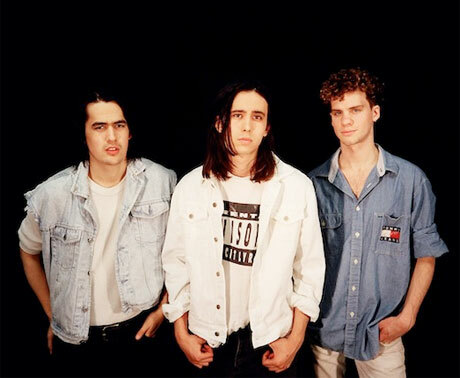 Smith Westerns' upcoming album, Soft Will, had been pegged for a June 4 release through Mom + Pop. That date has now been pushed back to June 25, but it's not all bad news for fans of the jangle-rock trio, since they have unveiled a new music video and announced a batch of tour dates. The summer trek will run for a month from July through most of August. It will take the group across the continent and includes a number of U.S. shows, plus three Canadian gigs: Montreal on July 28, Toronto on July 29 and Vancouver on August 17. See the schedule below. Scroll past that to watch the music video for the previously unveiled Soft Will cut "Varsity." The clip consists of slow-motion making-out, flowers and smushed fruit, which complement the lush and romantic-sounding tune. Director Del Rio Ortiz said in a statement, "I wanted to make a non-narrative video clip about young love without showing the usual conventions of going on dates or hanging out at the mall. We studied this couple as they would study themselves and each other in their dreams, and used abstractly sexual imagery to give it a hallucinogenic and hazy atmosphere."